WHAT do a meerkat, radiated tortoise and komodo dragon have in common? Pretty soon you won't have to travel halfway around the world to see these exotic creatures as they are all expected to make an appearance at our own Snakes Downunder Reptile Park and Zoo in the near future. Snakes Downunder Reptile Park and Zoo co-owner Ian Jenkins said meerkats, radiated tortoises and komodo dragons were on the cards for the local park, with some coming sooner than others. 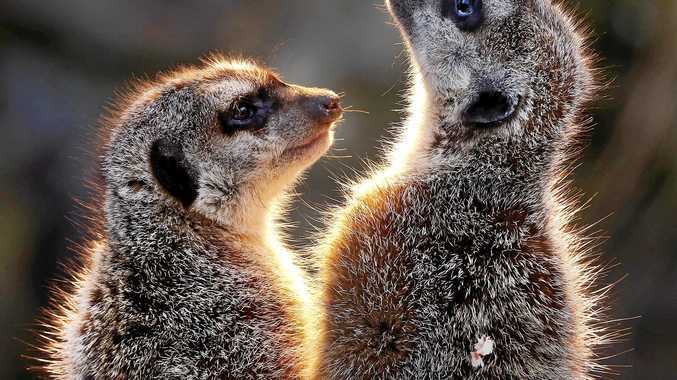 Mr Jenkins said they were very excited about their new additions, with four two-year-old male meerkats hopefully joining them by the end of next month. "We've been down there to see and meet them at Taronga Zoo where they are with a family of about 20 meerkats," he said. "One of our wildlife staff has worked with meerkats and she will go down again when they are ready to fly up. "I was born in East Africa and didn't have meerkats, so I'm at an inclination to showcase some of the African species. "We'll be getting four boys who are two years old." 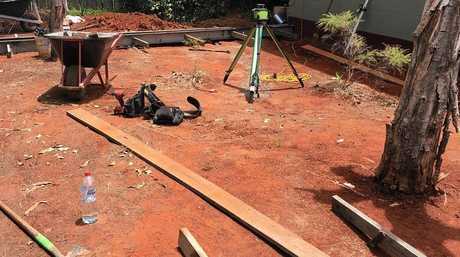 News of the beloved creatures, which belong to the mongoose family, coming to Bundaberg broke late last year when Snakes Downunder was at the ground work stages of building an enclosure. NEW ANIMALS: Footing form work going in for our meerkat enclosure. 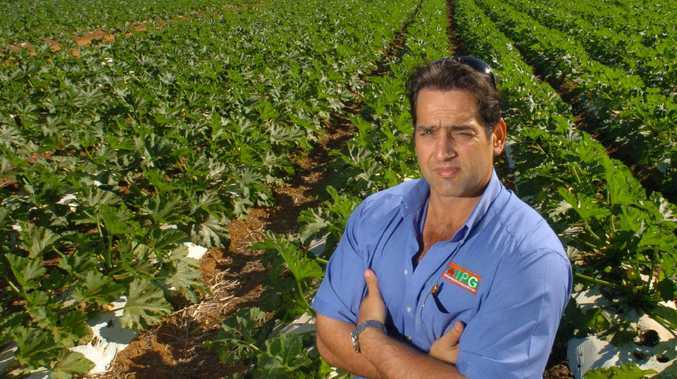 Mr Jenkins said the expansion of species calling the Childers park home was part of a five-year plan. He said the radiated tortoises had arrived in the country after a lengthy trip from Madagascar and will hopefully be at the facility in the next 90 days. 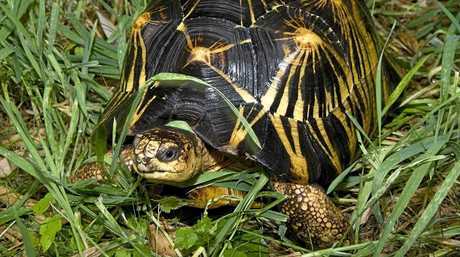 Radiated tortoises are critically endangered, have sport star patterns on their shells and live in the forests and scrub land of Madagascar, according to the Smithsonian's National Zoo and Conservation Biology Institute. The Smithsonian website suggests they grow to a shell length up to 41cm and weigh up to 16kg. While it seems to be smooth sailing for the tortoises and meerkats, getting one of the world's largest breeds of lizard is going to take more time. The komodo dragon is the largest, heaviest lizard in the world, capable of growing up to 3.13m, and is one of the few with a venomous bite. Mr Jenkins said the push to get komodos wasn't new, however it may take some time to get them here from Europe. In the meantime, there's plenty to see at Snakes Downunder. The park is home to saltwater crocodiles, a snake house, a vivarium housing dragons and frogs, a kangaroo reserve where the animals can be hand-fed and more. Snakes Downunder is at 51 Lucketts Rd, Childers. It is open from 9am-3pm daily, except Wednesdays.